Mannheim, 30 November 2018…Steffen Rowold (54), member of the Management Board of the Röchling Group and Head of the Finance division, will leave the company for personal reasons on 1 December 2018. 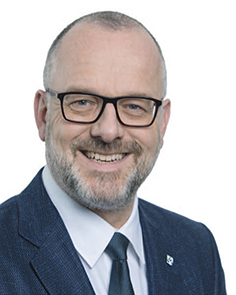 The business studies graduate has been working at the Röchling Group since 1999, his position included Commercial Director of Röchling Automotive Peine KG and CFO of Röchling Automotive. He was appointed as Chief Financial Officer of the Group in 2016. Professor Hanns-Peter Knaebel, CEO of the Röchling Group, will temporarily take over Rowold’s role. “We are confident that we will introduce his successor at the end of the first quarter of 2019,” said Johannes Freiherr von Salmuth.